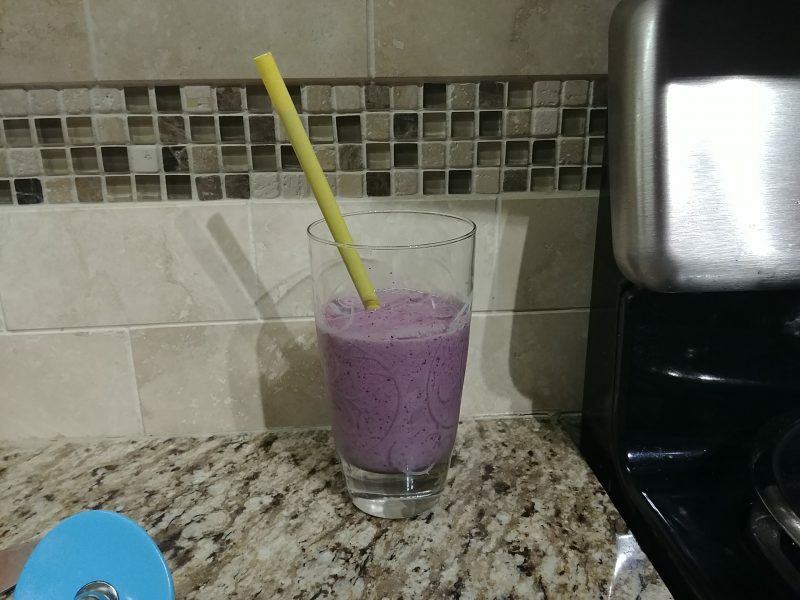 Here’s a quick and easy smoothie that is IC safe! for some IC patients. I throw all the ingredients in my Ninja Blender and put it on Intelligent IQ setting and it does all the work. All your ingredients besides the milk are frozen, so the key is adding enough liquid otherwise it’ll just jam up the machine. I’ve made this countless times. For the members of your family that don’t have IC, if you add frozen strawberries it turns out wonderful too. -Do NOT add any sugar, it doesn’t need it. -Do NOT add fake sweetener, even Stevia – it is a major IC bladder irritant! NOTE: Amounts are estimated. The measurements below are approximate and are meant to make 1 to 1.5 smoothie servings. Play with the amounts to find your suitable smoothie. If you dislike one the ingredients, just skip it. It doesn’t require three fruits. Two fruits would taste the best I think, but even one would work! 3/2018: I can no longer tolerate bananas/raspberries but I will keep this recipe up for all of you who can. frozen bananas (about 1/3 cup) – I pre-slice bananas and freeze then in baggies for smoothies. Put all ingredients into your blender, no specific order is necessary. Make sure you add enough milk otherwise the machine will jam and will have to work too hard due to all the frozen ingredients. Add additional milk as needed to allow the machine to whip it up easily. Blend for 45 seconds to 1 minute to reach a smooth consistency.